Most importantly you need to have fun. “My younger daughter ran her first 5k in Chicago at the age of 6, my older daughter started running a few days a week on a treadmill in her teens and said, “when I run, I sweat and secrete oils which keep my hair oily, naturally”. There are as many reasons to run as there are those of you going through this page. So go for it” Rahul Verghese. What’s the best distance to go – I would say 3-5km. 3K would be a minimum to warm up and get into rhythm and get your heart rate and breathing up – this helps you keep cough, colds and flu at bay, also headaches and worries seem to lessen – according to medical reports and studies. 5kms for this age group is not so tough, but not too easy either. It is just the right max distance for this age to do, get charged up, and feel great. 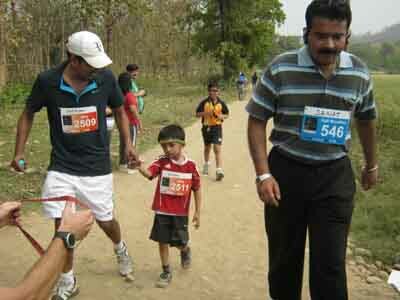 What is amazing is that when you do something like a 5km run – you will feel and should feel really proud of yourself. If you need to do more, try and quicken the pace rather than increase the distance. 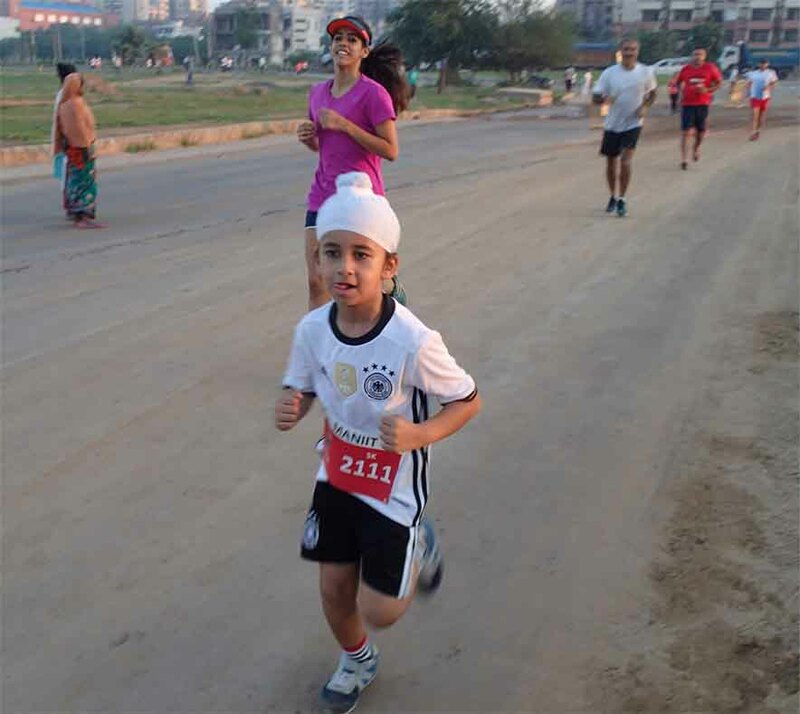 Running is the best way for children to be active, promoting bone development, building cardio vascular efficiency and believe it or not, even improving eyesight. Several studies, including one done recently in Australia have shown that kids are glued to TV, computer, games or phone screens and are remaining indoors, leading to an abnormally high incidence of myopia.The simple act of running outdoors helps them focus their eyes for long periods of time of more distant objects and helps their eyesight. Fun – play games which require running – whether it is soccer, baseball or a simple fun game of catch. Diet and nutrition cut down on fast foods and colas and eat more fruit, vegetables and milk, cereals and drink 6-8 glasses of water a day. Cars need petrol and diesel. Good quality fuel helps the car run longer and smoother and trouble free. 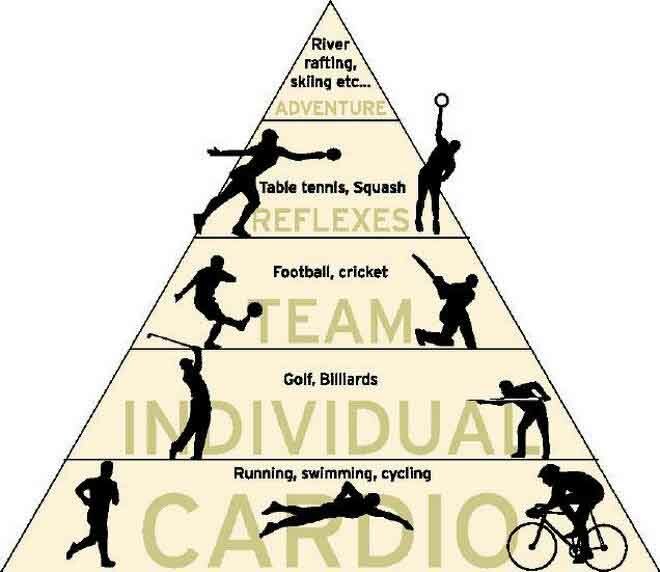 The same is the case with running and us. Check what we are eating – how much, and when are important too. Have a good breakfast and resist the temptation to get up later and skip breakfast. Definitely have a glass of milk with it. Good for the bones which will be getting a pounding as you run. Try and focus on the fast foods and synthetic liquids you are drinking and see that you are taking those in moderation, while increasing a bit more of fresh salads, leafy and coloured vegetables, and fruit. Make a start and see the difference. Get your parents ad brothers and sisters to join you too. Have fun and definitely sign up for the next 5km run in your school or city. 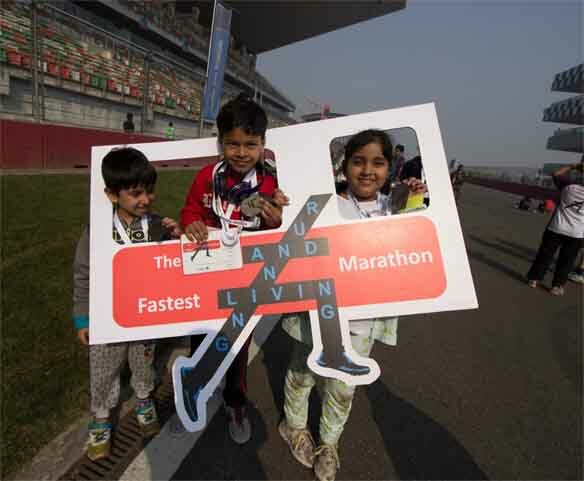 Do NOT run long distances of more than 10 km or so – long distance running, swimming etc are activities for people of at least 18 or older, whose lungs and heart etc are fully developed and grown. Endurance sport and activities below this age could hamper body and organ growth and could have other problems. E mail us at contactus@runningandliving.com to share your experiences, send us your photograph, write a poem on running or send us a question and we would love to get back to you. Start running and living today!! © Copyright Running And Living Infotainment Pvt. Ltd. 2008.